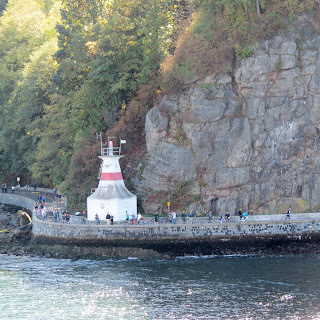 Prospect Point Lighthouse is located in Stanley Park in Vancouver, Canada. 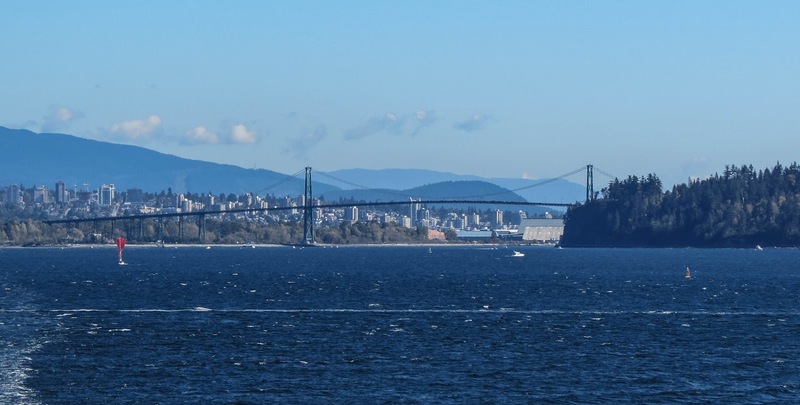 On a recent cruise our ship left the port in Vancouver and proceeded under the Lions Gate Bridge (a popular Vancouver landmark). As we proceeded under the bridge I noticed a cute little lighthouse sitting on a path below the bridge. I did a bit of research and found that the lighthouse is called Prospect Point. In October of 1888 the steamship Beaver slammed into Prospect point and the need was felt for a lighthouse in the area. The first light at Prospect point was opened on July 25, 1888. In 1938 the Lions Gate Bridge (linking the Prospect point bluff to North Vancouver) was constructed and the original lighthouse still operated. 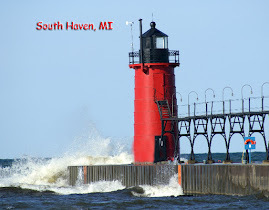 Several years later in 1946, the current lighthouse was opened. As we traveled by the lighthouse on a Sunday afternoon I could see many visitors to the park walking past the trail by the lighthouse. It looked the a great way to spend a beautiful afternoon. 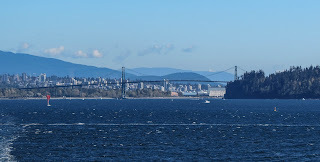 The photo above shows the Lions Gate Bridge and the skyline of Vancouver. I took the photograph off the back of the ship after we passed the lighthouse.